GO2 has been extensively tested with poultry livestock. For a 10 month period, we have tested GO2 in 2 sets of farm houses in Georgia, USA on 4 flocks. The results and the financial consequences were compared with the previous period of 10 months (also 4 flocks). The first test was done in 1 older, small house and 4 modern houses, with a total of 95,000 birds, which were grown to 51 days. In these houses, the grower's profit increased 20 dollars per 1,000 birds, or 7.3%. The total cost of chemicals to the grower was US$ 2,700. The cost for the equipment was US$ 450 (4 years amortization) So, total cost of these test were US$ 3,150. The revenues increased by US$ 14,464. This means the grower had a total net profit increase of US$ 9,964 over 10 month, or US$ 2,491 per flock. Happy birds... 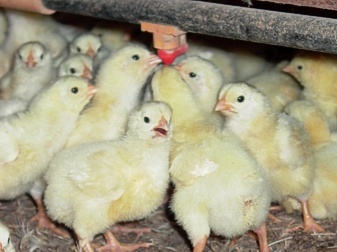 These are chickens that received water treated with chlorine dioxide. GO2 delivers excellent water quality, and causes an increase of weight with a decrease of the Food Conversion Ratio. Mortality rate went down as well, and the results are an avarage of +8.2% profit for the grower.